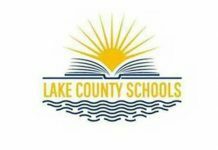 Lake County Schools is now accepting nominations for the 2019 Lake County Schools Alumni Hall of Fame inductees. All nominations must be submitted online by Thursday, February 28, at 5 pm. To be considered for induction, nominees must be individuals who graduated from a Lake County public high school. The nominee may be living or deceased. Each nominee must have made outstanding athletic, professional or humanitarian contributions, or overcome great adversity to succeed on a personal level. All nominations must contain active and current address, a photo of the nominee and contact information for the nominee (or family, if deceased). Visit Lake County Alumni to access and submit an electronic nomination form. The Educational Foundation of Lake County will help honor distinguished LCS alumni at the annual Night of Stars celebration April 17, where Lake County Schools will induct 1 to 5 new Alumni into the Hall of Fame. Inductees will be selected and announced prior to the Night of Stars celebration, where they are encouraged to invite families and friends. Photos of the 2019 inductees will also be added to the new Lake County Schools Alumni Hall of Fame Wall display in the lobby of the Tavares district offices, as well as the virtual hall of fame on the Lake County Schools’ main website. The Lake County Schools Alumni Hall of Fame was established in 2016 to honor our graduates who have built on what they learned as an LCS student to distinguish themselves through outstanding personal and professional accomplishments.